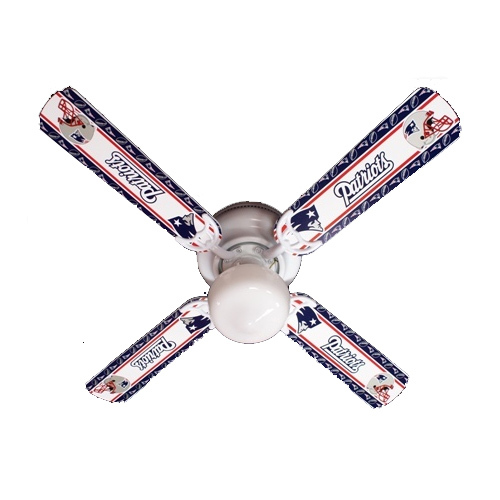 Gear up for the Superbowl and decorate your little Patriots fan's room with this ceiling fan. Decorative and functional, with reversible blades featuring authentic Patriots colors and logos. Three speeds for year round comfort, and a flush mount design for low ceilings, making this ceiling fan perfect for any nursery, playroom, or bedroom.